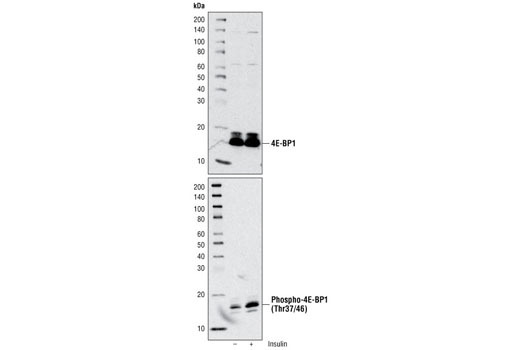 Phospho-4E-BP1 (Thr37/46) (236B4) Rabbit mAb detects endogenous levels of 4E-BP1 only when phosphorylated at Thr37 and/or Thr46. 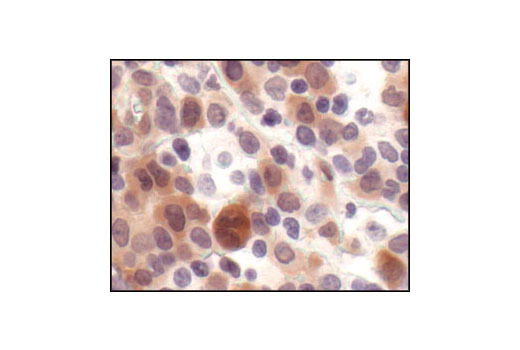 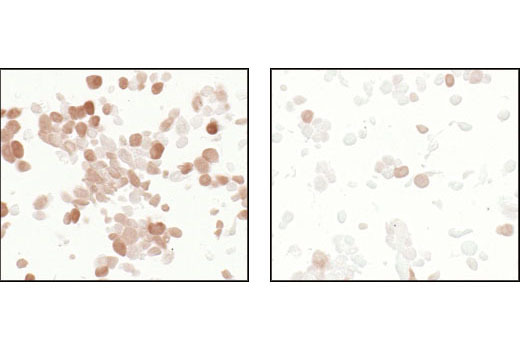 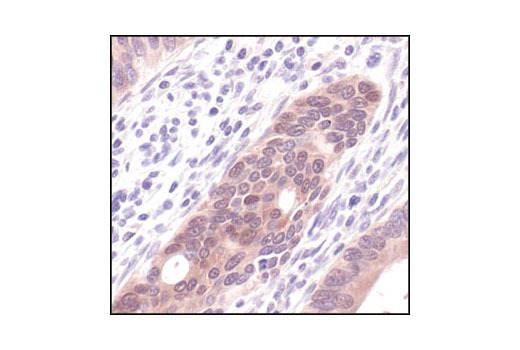 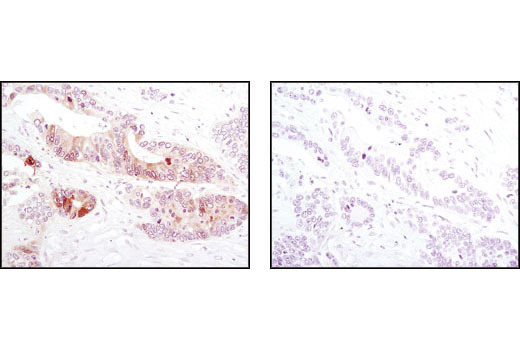 This antibody may cross-react with 4E-BP2 and 4E-BP3 when phosphorylated at equivalent sites. 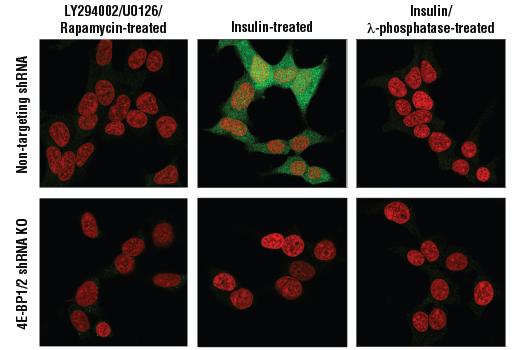 Non-specific staining has been observed in mitotic cells by immunofluorescence.